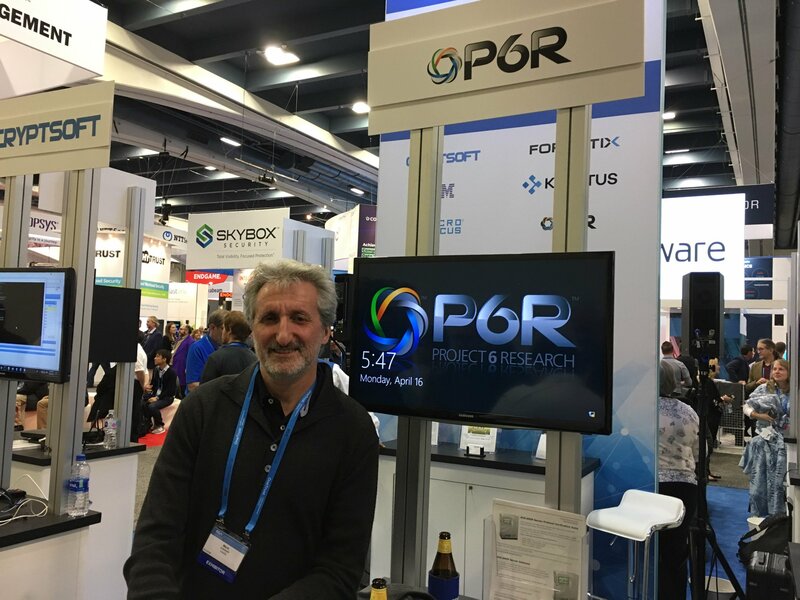 P6R had a pod in the OASIS booth at the 2018 RSA Conference Expo. This was our 4th year at this conference. We where showing off our KMIP and PKCS#11 products. P6R participated in its 4th OASIS KMIP Interop. This interop tested KMIP 1.4 and the draft specification of KMIP 2.0. P6R tested its Secure KMIP Client (SKC) with the following list of KMIP Servers: Cryptsoft KMIP C and Java Servers, Fornetix Key Orchestration Server, IBM SKLM, Kryptus kNET HSM, Micro Focus ESKM, Q-Labs qCrypt, Thales DSM, and Unbound KMIP server. Below are the results of all clients participating in the Interop. Note that P6R’s SKC results is the full column on the right. P6R SKC passed all test cases conducted in this Interop. "2018 OASIS KMIP Client Interop Results" was published on April 13th, 2018 and is listed in Server Design.